Balbhavan children are enjoying the summer vacations. Children gets some fun by playing games, watching movies, enjoyed trips and learning computer. Hundreds of children joined the event of “KARU YA DHAMAL SUTTI CHI.” This vocational camp is a great success. In total, eight Balbhavans have taken part in this program and more than 45 staff and volunteers are involved in the camp. In this program Sahara Balbhavan Sanjaynagar, Khushi Balbhavan Mukundnagar, Unnati Balbhavan Siddharthnagar, Kalpak Balbhavan Serjapura, Parees Balbhavan Ramwadi, Kshitij Balbhavan Ramwadi, Oorja Balbhavan Bhingar and Utkarsh Balbhavan Laltaki Ahmednagar had taken part with their Balbhavan children for six hours daily. 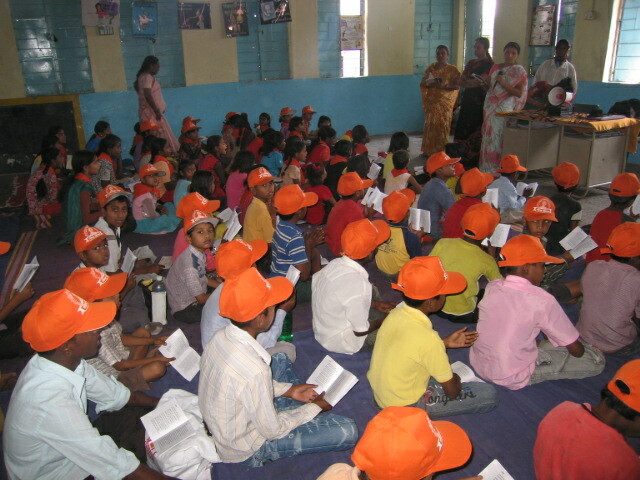 During the camp, children are taught how to keep their area clean, they take prayers of Balbhavan (i.e. “Ittne shakti ha me dena na data”), thought of the day, reading the newspapers, reading of Indian Pledge, exercise of Yoga, reading of Dyaneshwar Pasayadan. Manache Sholak of Ramdas Swami and various doctors, lawyers and psychologists attended the program and delivered their speeches on their respective fields and their successful stories of their lives - Dr. Suchit Tamboli, Dr. Anshu Mule and Gandhe sir. The guests described the activities of showing children their favorite movies, telling them successful moral stories, telling them to do one act play & group discussion, telling them to dance and sing, taking competition of various indoor games (i.e. drawing competition, hand-writing competition, Rangoli competition, and swimming) and outdoor games (i.e. 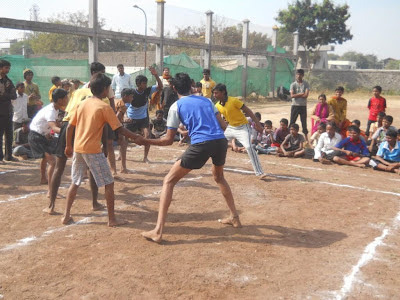 cricket, volleyball, Kho-Kho, musical chairs, kabbadi, badminton, chess). All these activities are continuously run in all Balbhavans. This entire program is run with the aim of developing confidence in children. Children are also performing a street play for de-addiction and for saving the girl child. As we know, slums are not always clean and if we tell the slum residents to clean it they will not even take the effort to clean their house - So how will they clean the slum area?! So the children are taking the initiatives to clean the slum and give example to the slum area people that we can clean the house and slum. On the very first day one of the untidy houses was selected and cleaning begun in the house so the woman was very sorry to see that so she started cleaning her house. Due to this reason all the women of the slum houses started cleaning because they were afraid that if their house was untidy, Balbhavan children would come and start cleaning it. 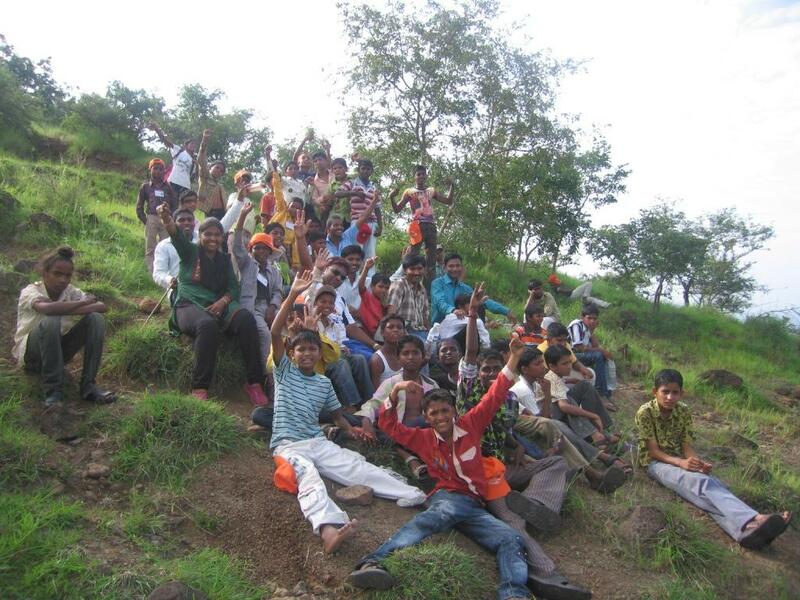 Children were taken to Mula dam to view the dam and it was explained that our drinking water comes from this dam. So as they were made to sit in the train and sent to shirdi for darshan, Sai Sanstan gave children VIP treatment. Children went for darshan from the VIP gate. This was a very happy moment in the life of these children. Children enjoyed the water park, as well. Children are now busy in preparing their skits, speeches and songs which are to be starting on Radio Nagar 90.4 from 22nd of May 2012 to 30th of May 2012. You may have seen the “Satyamev Jayate” programme by Amir Khan on 6th May, 2012. Amir has sensitized the entire nation about the issue of female infanticide. Amir has appealed to contribute to Snehalaya as we have been fighting this battle since last 23 years consistently and dynamically. Snehalaya is basically a people’s movement working with the strong and wide network of volunteers and small donors. We want you to become a part of Snehalaya family for the mission against female infanticide. Though this issue is quite complex, deeply-rooted in the mindset of our society, but the NGO’s like Snehalaya find the solutions and inspire others to practice the same. We request you to visit our various projects with convenience. Please talk and inspire your close friends and relatives to donate generously to Snehalaya through Axis Bank. The Reliance Foundation will also give an equal contribution to us against your contribution. Please go to the link http://www.satyamevjayate.in/donate/ in which there is a appeal for Snehalaya by SATYAMEV JAYATE team on their official website. You can also visit our website www.snehankur.org and www.snehalaya.org. 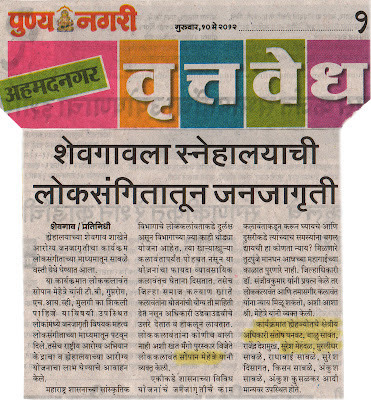 The story belongs to an innocent boy, Rohit Prakash Bhandare. He lived in Sanjaynagar slum area in Ahmednagar city. Rohit has four sisters, two brothers. His mother does a minor work for livelihood and his father is a drug addict. The family environment is always stressful, not conducive to the development of the children and the family is not educated. Rohit is 6 years old and studying in 1st in Snehalaya’s English Medium School. Rohit is a calm boy in nature. He has not much interest in studies but is good in sports. He is also an expert in making instruments. The reason behind his poor interest in studies is that Rohit has not had enough help and support in education. Schools most focus on overall child development with subjects like English, maths, computers, value ads, work ads, general knowledge, physical ads, drawing and crafts. In school, we must encourage the students for development in skills and virtues and also consider our students' interests while teaching. This system is commonly successful and effective in student progress and exactly the same has happened with Rohit. Rohit is changing positively now. He is playing with numbers in maths and can read and write. Some qualities are developing within his mind like social skills, skillfulness and determination. Now he can make craft items because of guidance and motivation from school teachers. He also operates computer application tools. Rohit is enjoying learning so he regularly comes to school.